This troubling natural oriental floral perfume for women acts like a filter of love. Its notes of Blood Orange, Exotic Flowers, Cedar Wood embody the passion of the FIRE element. Our natural eau de parfum are made with a true respect of nature and every part that belongs to it. Our perfumes are formulated with an organic grain alcohol with safe, fair and vegan high quality extracts. They are guaranteed free from synthetic fragrance. They do not contain any dyes, phthalates, or UV filters. Gourmand, narcotic and woody, this floral amber perfume embodies passion by combining the penetrating and spicy scent of Ylang-ylang with the resinous and balsamic notes of sacred Myrrh and Benzoin. The warm and oriental notes of Cedar wood, Raspberry leaves and Piri-piri Amour root* give it an intoxicating sensual aspect. 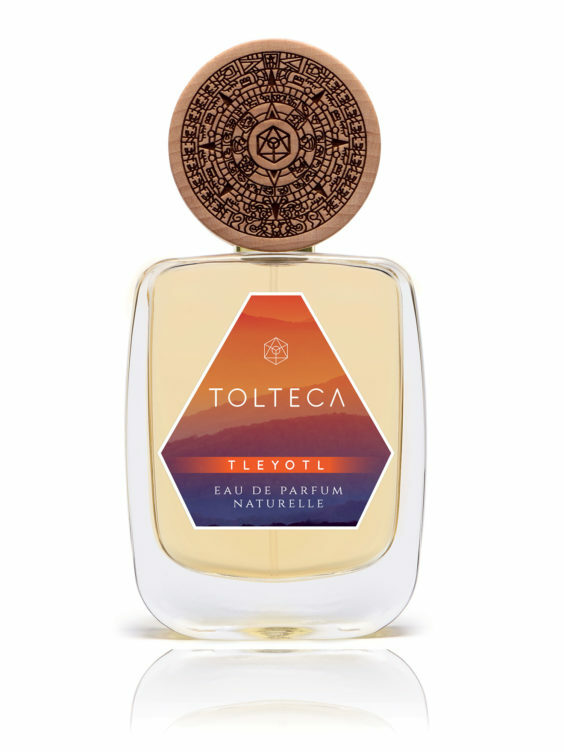 The natural feminine perfume TLEYOTL offers an addictive and aphrodisiac fragrance with an especially irresistible bewitching and warm wake. Its name means in Nahuatl “Heart of Fire”. Piri-piri Amour is a shamanic plant that grows in the Amazon rainforest. It has been used by shamans and Shipibos Indians for centuries in the composition of love potions and shamanic rituals. INGREDIENTS (INCI) : Alcohol* Denat., Parfum (Fragrance), Aqua (Water), Limonene (1), Linalool (1), Geraniol (1), Benzyl Benzoate(1), Coumarin (1), Citral (1), Benzyl Salicylate (1), Eugenol (1), Farnesol (1), Benzyl Alcohol (1), Citronellol (1), Isoeugenol (1),Benzyl Cinnamate (1). 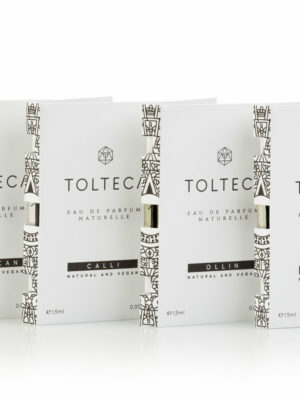 Tolteca is a mission driven luxury French perfume tradmark founded to help change by offering a healthy and ethical alternative to all natural beauty and vegan enthousiasts. Subscribe our newsletter to receive news, discounts and exclusive offers .